Young ladies with wide feet find it is a time- consuming task to pick pretty and comfortable prom shoes that match the prom gown. But tanks to the Internet and the numerous online stores, now we can easily find, pick, order, and even return and exchange any kind of goods, including specialty shoes. 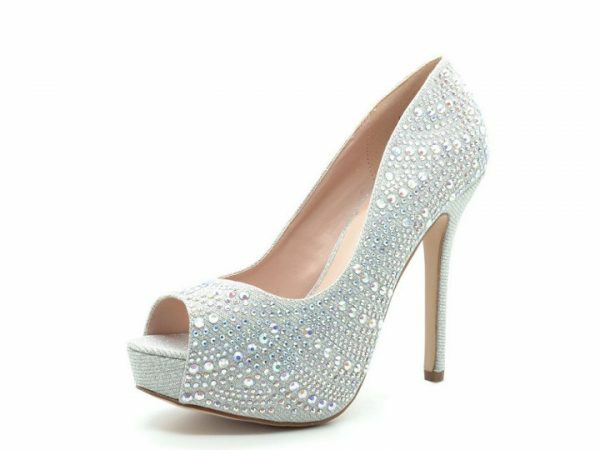 The most popular colors and materials for wide width prom shoes are metallic looking leather and satin in bronze, gold, and silver. The shoes can be either high heels, medium, or low and even flat for those young ladies who prefer comfort over added height. Brands like Touch Ups, Dyeables, Romantic Soles, Special Occasions, Colorful Creations, and Coloriffics, offer chic and sassy wide width shoes in every heel height. Here is a selection of wide width prom shoes for you to choose from. Stuart Weitzman Bridal Evening Collection Turningup are dressy strappy sandals. They are pricey , but you get what you pay for. 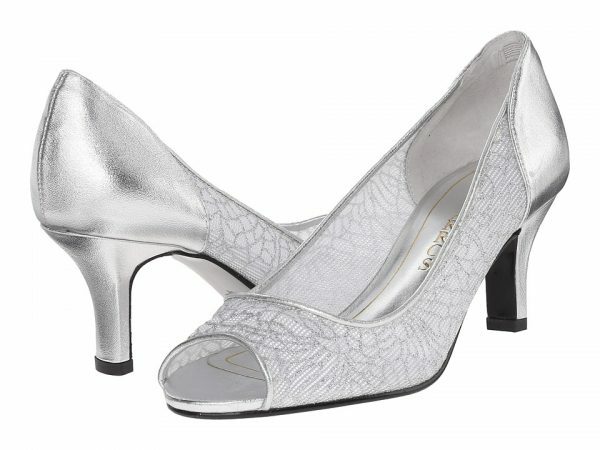 Vaneli Madora are sleek and sophisticated peep toe pumps in silver and black satin. They come in extra narrow, narrow, medium, wide and extra wide width. Touch Ups Taryn is a precious metal sandal gold or silver in wide width. Dyables Leah Wide Width Sandal. 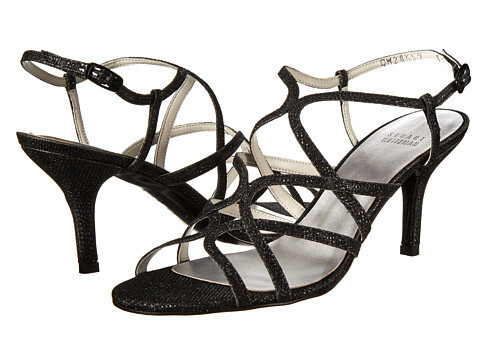 This glamorous sandal has glitter accents that adorn the vamp, hidden platform and 3 1/2 heel. The sandals comes in medium and wide widths. Buy Online Caparros Bettina is an open toe pump that comes in silver and gold mesh upper and wide width. 1. Wide high heel prom shoes. High heel shoes are the natural choice for prom and homecoming ball shoes. Heels go well with any length of the dress, from shorter dresses to floor- length dresses to full skirt gowns. High heeled prom shoes vary in style, color, and heel design. They can be pumps or sandals, stilettos, chunky heels, or semi- high. If you choose a pair of high heeled shoes for your prom outfit try them first at home, practice walking in them, and make sure they are comfortable enough to stay in and dance all night. 2. Wide silver prom shoes. 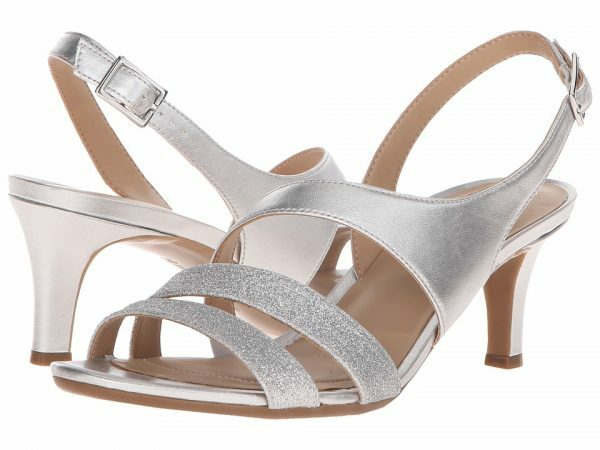 Silver prom shoes are versatile and can go with many prom dresses. Despite the metallic glimmer silver shoes are even more versatile than black shoes when it comes to prom dresses. As a rule if your dress has silver details or embellishment, silver purse and wide width silver prom shoes will complement it best. 3. Wide width gold prom shoes. 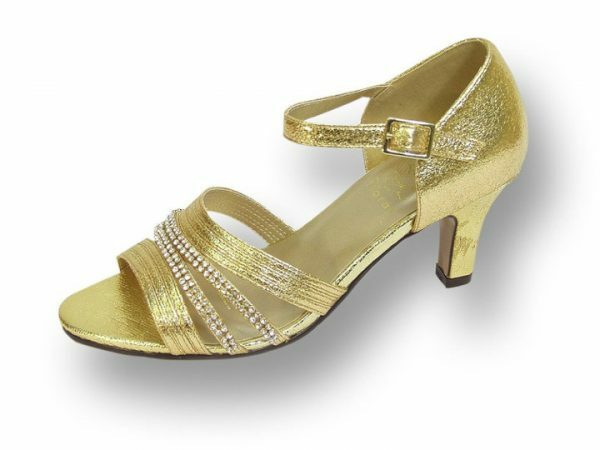 Gold prom shoes are a popular choice. 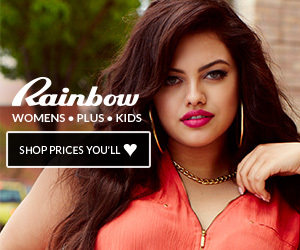 They go well with red, purple, dark color prom dresses and prom dresses with gold details. Not to mention wide gold prom shoes look glamorous and can be paired with gold purse and gold jewelry of any kind. 4. Wide Width Flat Prom Shoes. Flats can be a great choice for wide width prom shoes for someone who doesn’t tolerate heels. You can wear flats and dance in them all night long without pain and swollen feet. Despite the fact they are more comfortable, wide flat prom shoes are less flattering especially for certain skirt lengths, e.g. shorter dresses and are more difficult to come by than heeled prom shoes.